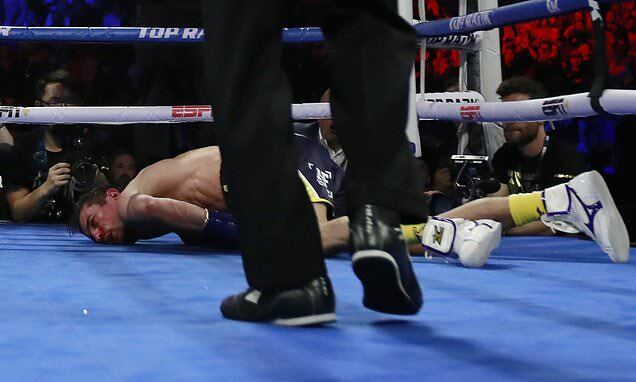 Anthony Crolla could not produce one of boxing’s great upsets as he was beaten by Vasily Lomachenko in Los Angeles. 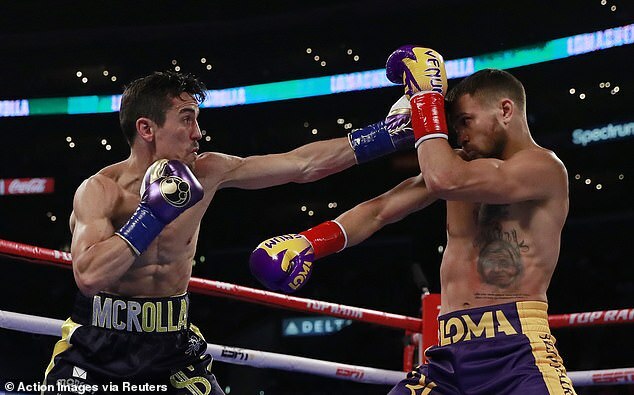 Manchester-born Crolla was rank outsider for the fight against unified world lightweight champion Lomachenko, who was as short as 1/500 with some bookmakers. 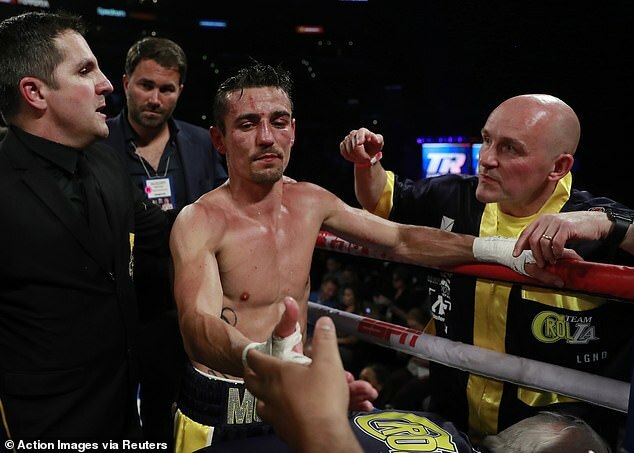 There was confusion in the third round as Crolla was given a standing count after receiving a flurry of unanswered punches from Lomachenko – with the Ukrainian believing the fight was over and already celebrating on the ropes as his corner entered the ring. However referee Jack Reiss continued the fight, where a stung Lomachenko continued his dominance before a brave but exhausted Crolla hit the canvas in the first minute of the fourth, face first and with a broken nose. 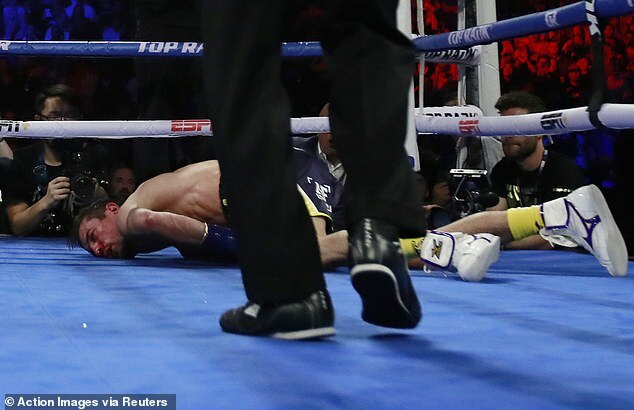 Crolla went down after a hard right hook from Lomachenko and the fight was waved off by Reiss. 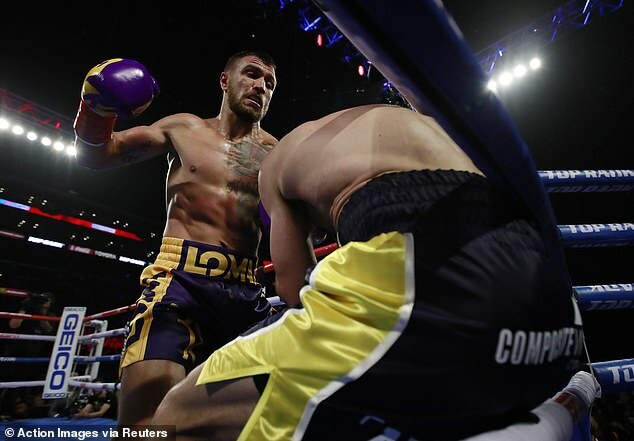 It means Lomachenko has retained his WBO and WBA lightweight titles after the one-sided bout at the Staples Center. 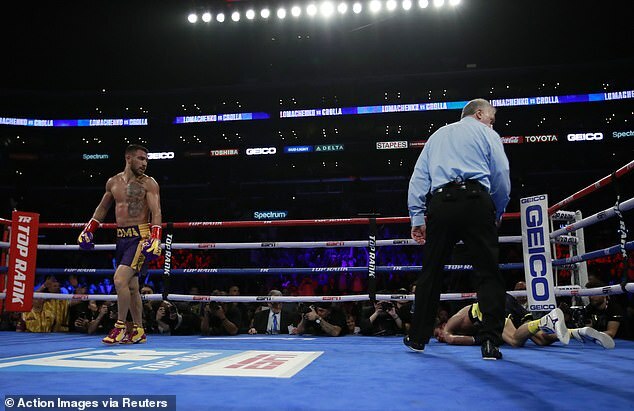 Lomachenko, now with a record of 10 KOs from his 13 victories in 14 fights, brutalised the mandatory challenger for his WBA belt throughout their fight. He had hoped to take on Richard Commey in a three-belt unification fight, but Commey’s injured hand forced Lomachenko’s promoters to make this fight. 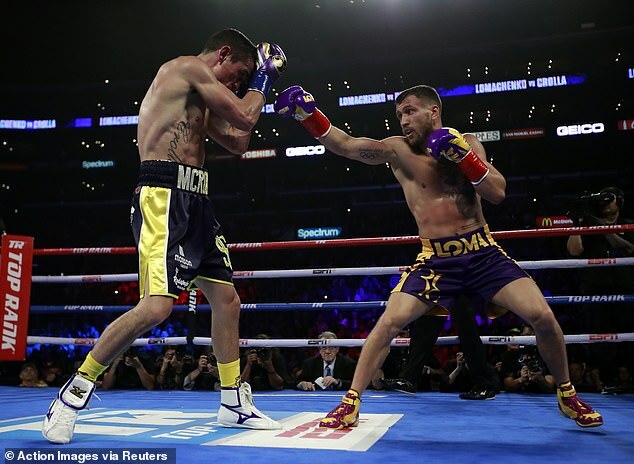 Although Crolla retreated and dodged Lomachenko’s attacks from the opening minute onward, Lomachenko picked apart his defence with his peerless combination of athleticism and technique, working the body and head with equal aplomb.